Help recognise your local sport and activity achievers! GBA Awards - your nomination counts! 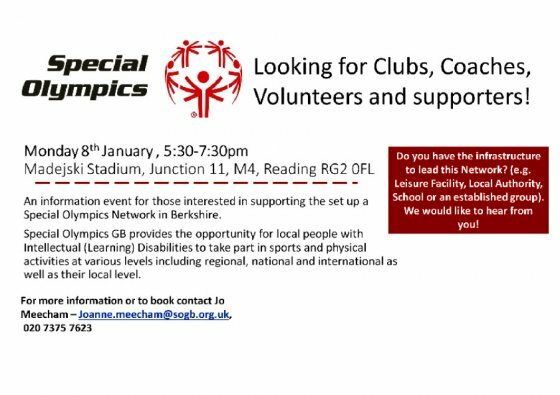 The GBA Awards evening which will be held in February 2018 at the Hilton Hotel in Reading. Always an exciting an memorable night! 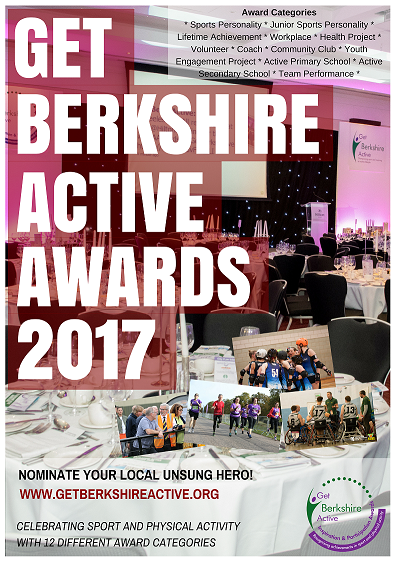 The awards recognise Berkshire people that have excelled in a sport or physical activity setting throughout the last year, a celebration of the people and organisations that promote, volunteer, work, support and take part in all types of sport and physical activity within Berkshire. Help recognise your local sport and activity achievers and nominate them here! 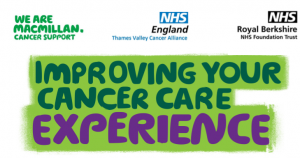 Hear great speakers and take part in lively workshops The Royal Berkshire Hospital Cancer team and Macmillan with support from the Thames Valley Cancer Alliance are committed to ensuring those affected by cancer are able to shape the support and services available to them. With a range of key speakers and interactive workshop sessions this event is designed to identify key issues that affect patients at different times during the cancer journey, and to start shaping the ways that those affected by cancer are supported, informed and treated. Supporting amateur sport for young people in England, Wales and Scotland. Persimmon Healthy Communities is our brand new sports programme supporting amateur sport for young people in England, Wales and Scotland. From May to December 2017 we are giving away 30 monthly donations of £750 each to purchase sports kits and equipment for teams and individuals aged 21 and under. In January 2018 our 30 businesses will choose one entry to go forward into our national competition. 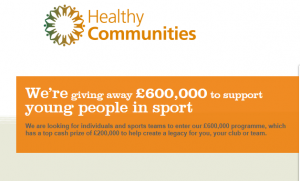 The national prize is a massive £200,000 for you, your club or team. And we're not stopping there. 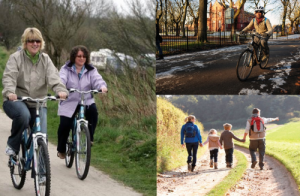 We also have two runners up prizes of £50,000 each and 27 finalist awards of £5,000 each. Helping get Kids more ACTIVE! If you would like to benefit from free marketing to help boost your numbers and grow your clubs and programmes whilst helping support The Actives in their mission to get every child to be physically active every day, all you need to do is allow The Actives to promote a free trial and/or a special offer on your behalf to their Actives Card members. Please visit here to register your interest. 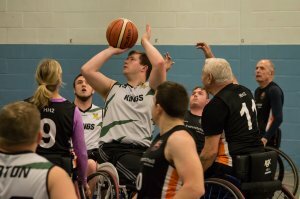 Kings pick up their first win of the season this past Saturday in British Wheelchair Basketball National League Division 3 South West against a gutsy West Coast Warriors team 49-30. 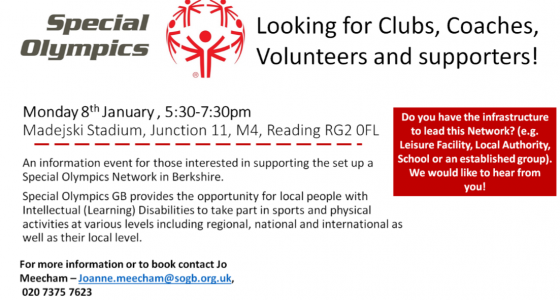 Since it's establishment in 2004, The Thatcham based Wheelchair Basketball Club with Jacqueline at its helm has endeavored to provide a high-quality wheelchair basketball programme that is accessible to players of all ages and abilities. 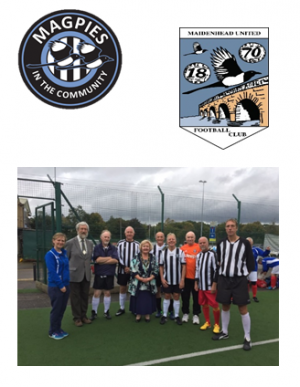 the club strives to support, inspire and become a social hub for everyone - believing that by actively encouraging both disabled and able-bodied players, the club can create a fun and engaging atmosphere.